The Trauma Recovery Centre is holding its first Trauma Recovery Conference at the Freedom Auditorium in Bath on 29 June 2019. 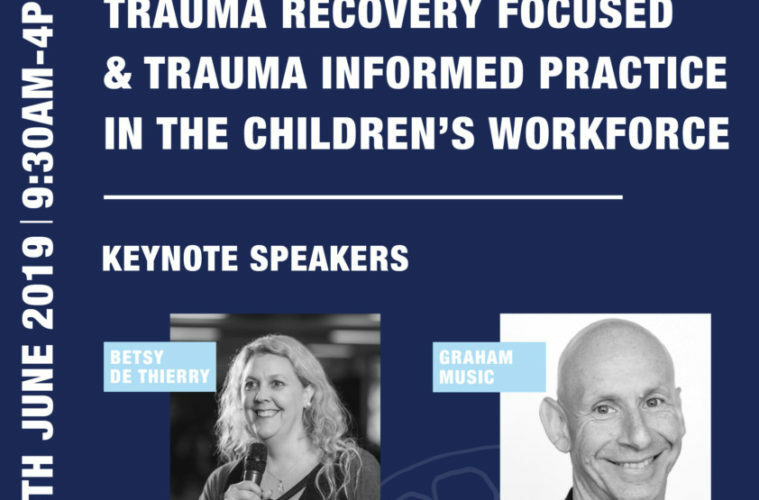 Entitled ‘Trauma Recovery Focused and Trauma Informed practice in the Children’s Workforce’, the conference is aimed at professionals working with children and young people who have suffered from significant trauma. “The well evidenced research on the impact of Adverse Childhood Experiences (ACE’s) has heightened the awareness of the need for professionals to have a trauma recovery focused approach,” commented Claire Tinker from the TRC Leadership Team. “Research shows clear links between unprocessed traumatic experiences in childhood to adults with mental health problems, those in the criminal justice systems and physical health problems. The first TRC centre was started in Bath May 2011, by Founding Director, Betsy de Thierry, international consultant, trainer, author, teacher and specialist trauma recovery focused psychotherapist. Betsy is passionate to see children not held back by adverse childhood experiences (ACE’s). She developed a Trauma Recovery Focused Framework, which the TRC uses to provide an intervention to young lives in order to enable recovery. The TRC now has five centres around the UK, with a sixth due to open in September 2019, and delivers creative psychotherapy to allow children to have space to process their experiences, and piece together the broken parts of their lives till a wholeness can be found. The TRC aims to give children a voice, and not just help them cope or manage their symptoms – such as mental health challenges, behavioural difficulties, physical illness, school problems and trouble with their relationships – but to see lasting recovery through a long term psychotherapy intervention. Research published in March 2019 by the Lancet Psychiatry shows that a staggering 31.1% of young people in England and Wales have experienced trauma and that 7.8% developed PTSD by the age of 18. Further research states that 1 in 3 children in every classroom has a diagnosable mental health disorder (Daniel, 2014). Despite this, 70% of children and adolescents who experience mental health problems have not had appropriate interventions at a sufficiently early age (The Children’s Society, 2008). The TRC has evidenced reduction in symptoms of their clients, but sadly their centres all have long waiting lists, as the UK today has a mental health crisis. The TRC is a charity which is dependent on the generosity of organisations and individuals, grant funders and fundraisers. The TRC’s Training Centre is visited by professionals from across the globe who are wanting to gain the skills to work with complex trauma from their own settings. The TRC host Betsy’s training courses which focus on this approach. Competition – win a family ticket to Valleyfest!